I was reading a newspaper article last week that said the Civil Service was a poor employer and that sickness absence was rife. This took me by surprise, as it is certainly not my experience. So, I dug out the cross-Civil Service sickness absence numbers and they paint quite a different picture. As Chair of the Civil Service Board’s new “People Board”, I thought it was only right to present our side of the story, which is backed up by detailed department reports and polling of hundreds of thousands of staff in the People Survey. Sickness absence, as measured by the number of average working days lost per person, is at its lowest recorded level, standing at 6.3 days in the Civil Service – down from 7.9 days in 2009. This is lower than the wider public sector (7.9) but still a bit higher than the private sector (5.5). A number of departments already have lower absence rates than the private sector but our aim is to ensure that all departments do just as well. If we achieve this, it would save £40 million a year for the taxpayer. The progress the Civil Service has made shows that our efforts to promote health and wellbeing at work are bearing fruit. In HMRC, my own department, we haven’t done quite as well as others, but we’ve still made fantastic progress. Sickness absence has fallen steadily since 2010 from 10.5 average working days lost (AWDL) to 7.4 in 2014. This fall is a result of really good personal leadership from folk at all levels in our organisation, whether this has been a healthy eating class or finding better ways to tackle stress at local levels. Their efforts have been backed up by two strands of department-wide activity: simplifying sickness absence procedures, including training for all managers, and, most importantly, promoting health and wellbeing. An example which struck me recently is our work with Macmillan Cancer Care to support managers in helping their people with cancer or who are affected by it. HMRC also has an occupational health model that provides quick and effective support for managers in enabling staff to return to work as soon as possible. Permanent Secretaries have taken a number of steps to improve sickness absence figures across the Civil Service. Strategies include signing up to public health responsibility deals, equipping managers to be actively conscious of wellbeing issues, reducing mental health stigma in the workplace, providing health kiosks in the workplace and promoting better physical health. There is a range of responses to tackling stress, including training courses, but this work is increasingly more proactive and focussed on promoting resilience well before stress becomes overwhelming. 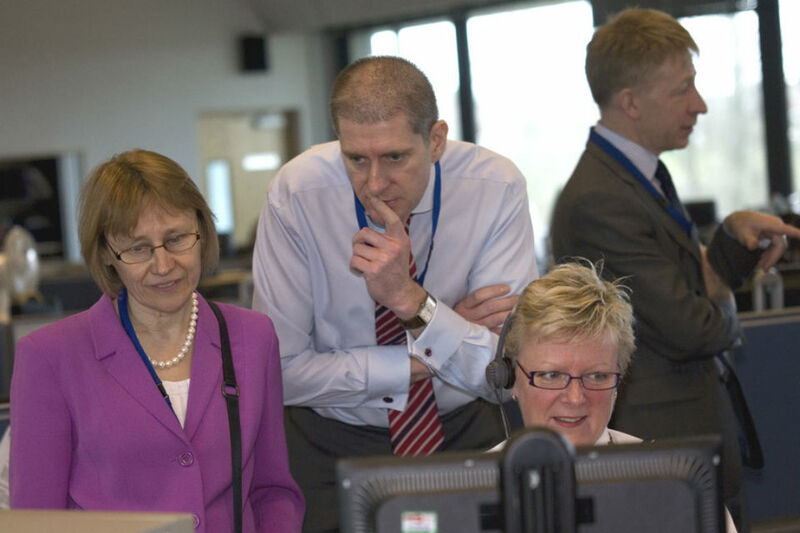 The Civil Service is one of the leading organisations in terms of the expectations it places on its staff, support for learning and development and involvement in the workplace. All three of these measures have been shown to reduce sickness absence rates. We can’t deliver for our customers and the UK, without doing everything we can to support our own people. I know that HMRC, like every government department, will continue to prioritise the health and wellbeing of the people who work here. Doing that benefits everyone, as levels of sickness absence continue to fall and performance improves. It’s a crucial part of ensuring we are a great employer. The way the absense levels have dropped in by staff being threatened with diciplinary procedures, an bullying tactics to force people to come in, spreading illness to other members of staff. When they finally give in and call in sick, they take longer to recover as they have let conditions get worse, in order to keep their job. Congratulations on getting the figures looking better. This is exactly the kind of thing that could easily be tracked on the GDS Performance Platform to knock these sort of conversation on the head right away. I see this opinion piece as a short cut and clearly not a detailed or thorough analysis. It is clear that redundancies have already push out staff with disability and health conditions which impacted on sickness figures. In addition, the pressure on managers to improve figures (rather than actual staff health) means that many have also gone under capability or disciplinary procedures. The reality is that mental health conditions, including stress, are growing rapidly in the civil service, a health time bomb on which this government and its senior staff will be judged by history. Sickness absence is a necessary and positive thing. If you’re ill, you’re ill; nobody should feel pressured to come into work when sick. Sickness absence does two necessary things, firstly it gives the sick person an opportunity to recuperate and secondly it helps prevent the spread of illness by segregating the sick from the healthy. When I hear arguments that we can save x amount of money by coming into work sick, I wonder were we lost our grip of what’s important in life. According to the above article, cutting sick leave by 2.5 days would save £40m. By coincidence the adult population of the UK is about 40 million, so the cost saving is about £1 per adult in the UK. That is roughly the equivalent of each adult getting a tax discount on two pints of beer or half a bottle of wine. But what is the cost of that? Given that there are 450k civil servants that’s 1.125m days where someone that’s ill comes to work rather than recuperating properly; 1.125m days when people are not working at their best because they are not up to it. 2.25m extra journeys will be made by people who are either spreading their germs about on public transport or who are a threat to other road users because of impaired driving skills. All of that for two cheaper pints - that looks like incredibly bad value to me. I hate it when I am forced to sit next to colleagues who come to work ill because they are too scared to take the time off or mistakenly believe that they are some sort of hero for struggling in against the odds. I hate it almost as much as when (and this has happened to me a couple of times lately) someone working on a supermarket checkout sneezes into their hands and carries on scanning my goods. Perhaps the force of argument should be to ensure that workers in private sector jobs are not forced to come to work ill. We should be the benchmark for them, not the other way around! When our new sick absence policy took effect in September, I breached it because I had had 4 separate days off in the preceding 12 months. Four genuine sick days, spaced apart, with 2 or 3 different causes. Now I don't take sick leave unless I'm genuinely ill, but my manager was *required* to then have a 1:1 with me and explain that he was required to consider disciplinary action (though he exercised his discretion, so no action taken). Way to make me feel valued. Way to make me feel worried about taking time off when I'm genuinely unfit to work. I have had just had the same thing as you happen Darren. I now feel unvalued, insecure, in cared about, and whereas before, my physical medical problems are over (at least I hope so) I am now getting increasingly stressed and unhappy because, as you, I am a conscience employee, and am worried about what will happen if I get I'll again. In addition I have a disability that may cause more absences in the future, and whilst I have been assured this'd do not trigger action I do not feel confident of this. How to clamp down on sick leave. Give a spate of written warnings to people after returning from operations, bereavements or recoveirng from accidents. That will teach them not to be sick. And if they are, that will force them to come in anyway, spreading their germs and creating a toxic, stressful environment for all. Well done, excellent managerial skills those at the top. We know where your priorties lie and it's not with the welfare of staff. As long as targets are being met, the staff can suffer. "Sickness absence has fallen steadily since 2010 from 10.5 average working days lost (AWDL) to 7.4 in 2014. This fall is a result of really good personal leadership from folk at all levels in our organisation"
Errrm, actually no it isn't. As people here have mentioned, it is the threat of written warnings hanging over people's heads. You ask anyone who comes into work coughing and spluttering why they are not at home recovering and this is what they will tell you. Overworked, dwindling staff with no pay rise for years. Stress is rife! Stress causes illneses. It's not rocket science. I could not agree more with Jon's comments above. I work in a very fast paced environment and working whilst I am ill not only spreads that illness to colleagues, it means that I am not firing on all cylinders and am more likely to make silly mistakes. As for mental health (and speaking from personal experience) Clara has hit the nail on the head. Local management of a colleague in another department most certainly haven't had any training in response to stress (in fact I am not sure they would recognise it if stress hit them on the nose!) - leaving a colleague to sink whilst being aware that "things weren't right". Lack of action let this get to the point of meltdown and long term sickness - all for the want of a little support at the right time. Anyone can work out that squeezing staff until the pips squeak will inevitably lead to stress. Unless someone realises this soon and makes some MEANINGFUL changes at the coal face, the CS should only expect long term sickness rates that are attributable to stress to increase. I think that Lin Homer is rather fortunate that HMRC is making those efforts to take care of its staff. Clearly that view has not spread to my area of the CS!! I have worked for the Department for 25+ years and as a whole my sick record is very good but I have just had a month off due to a severe infection and after returning for a few weeks I have now been signed off for a further month to recover from the resulting surgery. I have a good relationship with my management and much like Darren's manager I know that he will do his best to use whatever discretion is available to him, however when you get up to divisional level it becomes a numbers game. I know my job intimately, I do it well but the fact is I have had over two months off this financial year which will not please the bean counters who may not look at the full story behind the absence and the fact that I will almost certainly revert to my previous robust health. I suppose all will be revealed in my eventual Return to Work interview. t is totally hypocritical that a Government who is trying to force sick people to get off benefits and work, will not support its own employee who is terminally ill with cancer but being kept alive by treatment This poor woman could live for many years yet with support .She is fit to work for the majority of the year but has needed about three weeks off sick in the last 12 months as she is prone to catching respiratory infections. Out of fear of losing their own jobs, the staff who work around her are forced to go in when they are sick themselves knowing that they will spread their illness to this poor woman and not only could that be the end of her life, but if she manages to fight it off yet again, she will return to a written warning. How can this be justified a written warning for 3 weeks off in a year caused by cancer!!! She is terminally ill but has decided herself that she wants to continue working. How can you tell a terminally ill person that they must improve and not support them when their absences are so minimal? If the Government wants to force the sick and disabled back to work it should be prepared to employ them its self. Sorry I should have said "could return to a written warning"" not "will return to a written warning"
It is well-understood that much of the supposed drop in our recorded sickness rates over the last 2 or 3 years arises because of serious under-reporting by managers and poor data on our systems. I returned from a 2 year -loan to an NDPB in 2012 and most of my personal records had been wiped. The computer says I have had no sickness since 1985. It was never much, but now it's nil! All very good points made above. My organisation has recently told us it is to introduce a draconian new sick absence policy (on the 'formal warning after 4 days' model). This is despite our department having sickness absence levels well below the civil service average and it being admitted that there is 'no sick absence problem' here. The reason for the new policy is said to be pressure from the centre. Hilariously, three days after we were told this, we received an email asking us to volunteer to conduct Ebola screening at Heathrow until UKBA could recruit enough additional staff to manage this. You can't have your cake and eat it - either you want a workforce who feel proud to be delivering public services, who will go the extra mile for the public good (including risking their health and potentially their lives), and who feel that their efforts and commitment are recognised. Or you don't. I agree with the comments that staff are too scared to take days off sick. Also managers are equally scared to have high sickness levels in their teams. Typical though, stats can be made to report in 'any which way'! I'd like to see sickness absence figures across the grades measured against how many 'working from home days' are taken. Id imagine that lower grades who are unable to 'work from home' take more sick days than those at a higher grade whose 'work from home days' probably come to about the same (if not more). Also - do other private sector employers have a comparable workforce? I doubt it. At 44 I'm the second youngest person for about a mile. An aging workforce surely equates to burgeoning responsibilities at home and more sick absence? I also heartily agree that working with sick colleagues and joining telephone conferences every day with people i cannot understand so thick with cold are they do become tiresome very quickly! Surely a huge false economy based purely on a numbers/targets game rather than reality. Supprised by the responses above. At DE&S(MoD), I've seen no changes. The drop in sick absence where I work, maybe due to staff working from home on Laptops rather than recording sick. Good and Bad depending on how sick they are! Disability related sickness should be recorded separately, because it's relevant. Those with disabilities (one of the protected characteristics) are entitled to adjustments under the Equality Act, which include adjustments to procedures and absence policies, so that they are not disadvantaged by their disability. The Act defines what is reasonable, not the employer. The more people know about this (their rights) and begin to challenge procedures regarding their disability, the less likely those with disability related sickness will receive discriminatory attendance warning letters that threaten to cut their pay and to dismiss them because of their disability. Current CS sickness policy is based on bullying and harassment with a view to creating poor performers, who will then be replaced by zero hour capita staff. Taking three days off through sickness in one year and then receiving a warning is fantastic progress. Private sector average is about 4.5 days, in the most efficient companies. The ministers and their lackeys, CS managers, are completely out of touch. We should look at ways to mend a broken state, but to replace it with those who want to create positive socioeconomic impacts and ensure development for all. Have to agree with comments above. People are being made unwell by the pressures bearing down on them. If this was industrial smog clogging lungs, we'd be passing a clean air Act. If this was employers giving employees asbestosis by exposing them to hazardous materials, they would be taken to court. We know full well that people in the workplace are too often frightened, either by the chances of losing their job or by the impossibility of doing the job they are charged with doing. Employers are culpable, and support policies are springing up so they can demonstrate they have done what they reasonably can. But too often, the messages come across as patronising: 'we' must understand that 'they' are suffering from mental illness, and 'we' must make adjustments. Its a bit like standing on someone's chest and saying you understand why they can't breathe, as though that makes it alright. What 'we' need to do is get off 'their' chest so they can breathe freely again. Its interesting to speculate what might happen if quantitive easing was used to support the cost of keeping people in dignified work rather than giving it to lenders who do not seem to have delivered any apparent great benefit to the economy. If sickness absence is costing the economy, what is malpractice in the banking industry costing the economy? And which group - the moral and mentally unwell, or the sociopathic and carefree - is actually more worthy of support. To agree with pretty much everybody else – words mean little when I regularly lose parts of my salary, and could lose my job, due to aggressive attendance management. You can put all kind of therapies and schemes in place – but when I am not allowed time to attend medical appointments and I have to use all the leave I have got to cover my issues (as I am afraid of the consequences of taking sick leave) they are of absolutely no use to me. And please, please respect that there are a very limited number of people that I am comfortable talking about my issue with. Don't put the onus on me to reduce the stigma – I have enough problems of my own thanks. The policies need improving first. Just had an informal 1:1 with my manager as I had exceeded my 4 day absence period before the change in September for a knee operation. He was compelled to have the chat because he'd received an email from HR. Why bother ? It was before the change ? Can I ask how did the people that came up with 4 days arrive at that number when a qaulified doctor won't sign a sick certification for you until you've been absent from work for 7 days. Is the government going to reduce that for us? Hmmm, yes have to agree with the majority of people regarding sick leave. What amazes me is... we are told the benefits of working for the DWP are 6 months full pay, 6 months half pay? I would like to know how many people have been supported with this, as most people who I know are "encouraged" to come back to work, or their case may go to a decision maker, this is way before the 6 month period has arrived. I agree with the comments. The Government is forcing people with disabilities to come into the workplace yet not supporting them in the workplace. We have to put up with draconian sickness policies. I was unable to work for 2 years due to mental health problems. I successfully obtained a job at HMCTS but have found that no one understands my mental health disability which adds to my stress. I have been on a succession of warnings and back to work meetings when I have several chronic health conditions over which I have no control. I was made to do a lot of travelling, without prior notice, even though I suffer with travel anxiety and a chronic bowel condition. I am currently facing another warning as I dared to have one day off due to my bowel condition. I work in Court and an overactive bowel and court clerking do not mix!!! Conditions due to disability should be excluded from the managing absence procedure. How can you put a target on disability?! If I lose my job due to ill health then the Government will be forcing me to come back into work again. I can't win! I haven't even had that much time off considering the myriad of conditions I have. It is just the number of periods which have put me in the 'danger zone'. My line manager even had the nerve to suggest there might be a pattern for the sickness. Yes - the pattern is DISABILITY!!! I am unfortunate to not have the perfect attendance record. I had a 7 month period of sickness due to work related stress/PTSD almost 4 years ago. I returned to work, after applying for a new job at a lower grade and therefore going down in salary. Last year whilst renovating my house I broke my foot which ended up its me having 5 weeks off due to not been able to drive. Then 3 weeks ago I was suffering with stomach and back pain. 3 Drs appointments later I was no better and eventually collapsed and was rushed to hospital. They found kidney stones which a week later were zapped by ultrasound to be broken down. Today I received a message from my line manager to say my fit note had not arrived (it runs out on Monday and I'm going back to work so it has taken him 12 days to tell me this) and that he needs copies of all my appointment cards at the Drs and Hospital. They wonder why morale is at an all time low???? Not once have I had a call or message to see how I am. It's at the point now where I am going to be leaving the civil service as soon as I can. I'm miserable and feel undervalued and for the first time ever uncomfortable about going back to work as I'm sure I will have disciplinary action taken against me. I wonder if Lin Homer will read any of these comments, probably not. It seems a shame that all the 'top dogs' can think about is how to reduce the number of days you have off sick. Admittedly some people take advantage of the system, but surely they are in the minority? My experience is that in the civil service they 'box tick' with all the campaigns on mental health, disability, or whatever the newest trending discrimination topic is. In reality this is not something they want to tackle when it comes to real people. My crime is to be diabetic and to go deaf, on return from work following sick leave and returning with a disability of deafness I was presented with a stage 2 warning compelling me not to be ill in 6 months and to maintain this for 6 months I suppose you might say a ban on being ill! My next crime I broke a bone in my foot and coud not walk, I practically begged my manager for support what happened next I have been sacked! My manager refused to put any adjustment for the deafness and when I found our recently the broken bone is a diabetic condition he again refused to make any adjustments! My punishment I have been given my notice to leave hmrc after nearly 30 years service, no thanks for any work or service, I am devastated, my department hmrc and yes I emailed Lin Homer direct to ask for help to save my job, no response as yet but will keep the blog updated. I know the disability policy is incorrect how can anyone with chronic Heath conditions turn them off for a year.? Last year I had a number of spells of illness due to having gallstones, I had numerous Attendance Review meetings and was issued a written warning despite having doctors notes for every time I was off and even despite the fact I was hospitalised each time I had a gallstone attack. When I eventually had a operation to remove my gallbladder I then received a visit at home from my manager (just what you need when you're trying to recover from surgery) and was issued another written warning when I returned to work. My line manager did seem to have sympathy with my situation but said she had no choice in giving me the warning. This year I have been diagnosed with crohn's disease and it's taken my new manager 8 months to refer me to occupational health for a review. I'm terrified that at any moment I could become ill with a serious attack and I will lose my job if I'm off again. I was having minor surgery last week and wanted 1 day off to recover, even suggested I would use my own annual leave for this absence but because the annual leave calender was red with too many members of staff having time off for holidays the decision from the managers was that I was not allowed. Even when other members of staff have been allowed time off in the same circumstance to move into a new house. It seems to me that it's who you know and if you're in with the right people to what decision is made regarding time off and spells of illness. There are many people who play the system and then there are people like me who are trying to do the right thing and survive with a chronic illness being punished. I now can't be off ill until next year, how is that sustainable for someone with a serious illness??? ?